An intrusive thought. A flash of fear. A rush of adrenaline. Panic! Your body prepares to run or fight. Your mind races uncontrollably. Frantically, you try to find an escape. But how do you run from your mind? These episodes of terror are very real. If you’ve ever battled anxiety or panic attacks, then you’ve experienced a season of fear. 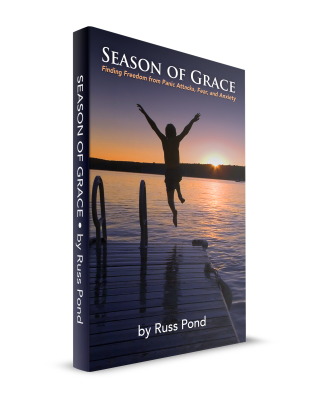 But there are seasons for everything–seasons of change, seasons of perseverance, seasons of pain, and seasons of joy. These one hundred life experiences are designed to take you on a journey into the Season of Peace. Each inspirational message includes three discussion questions and a prayer. You can order Season of Peace from Amazon. Or, use this Order Form (PDF).